The healthcare industry is one of the fastest growing branches of the economy in the past decade. A mission for a sustainable healthcare system is becoming mandatory in almost every country, including in the United States. In connection to this, a medical workforce line-up is necessary to meet the high demands in the healthcare settings. Hereby listed are the vital members of an effective medical force. Certified Nurse Aides, or CNA’s work under the general supervision of nursing staff and carry out basic health care tasks for their patients. Job duties of a nursing assistant include bathing, grooming, feeding the patient and changing the lines. Orderlies are in charge of patients scheduled for transport to another department either via wheelchair or stretcher. Click here for more details about CNA training in your area. An audiologist concentrates in communication science and its disorders. One uses various instruments and methods to diagnose hearing difficulties and balance disorders. A treatment plan is also developed once a diagnosis is reached, and this plan takes into account the impact of disability to the patient. A chiropractor is a primary healthcare professional focusing on the diagnosis, treatment, and prevention of mechanical disorders of the musculoskeletal system, as well as the effect of these disorders on the functions of the nervous systems and overall health. This may include athletic injuries. A dental assistant does work chair-side while the dentist examines and treats patients. He or she performs a variety of patient care, office and laboratory work. A dental assistant usually make patients comfortable as possible in the dental chair, prepare them for treatment, and make dental records of them. A dental hygienist help prevent dental decay by cleaning the teeth and providing patients education on effective care of their teeth and gums and the effect of diet on oral health. The dentist primarily inspects the dental and oral hygiene of patients, offering appropriate advices, or performing appropriate surgeries. The Diagnostic Medical Sonographer and Cardiovascular Technologist have a lot in common, being in the same profession and industry, in both using medical imaging on patient’s soft tissue, organs, and blood flow assessment. The primary difference between the two is that the technologist dealing with cardiovascular system focuses on assessment of heart and artery/vein system. Dietitians and nutritionists plan food and nutrition programs, and supervise preparation of meals. They help prevent and treat diseases by advising good eating habits and suggesting diet changes. EMT Paramedics is a job requiring Emergency Medical Technicians (EMT) and Paramedics. It is a job done under traumatic and physically demanding situations. Members of the EMT team are usually the first medically trained responders at the scene of emergency. Experts on the mechanism of exercise or exercise physiologists, need a degree and profession certification in order to practice their profession. They may be able to create training programs for athletes, or work for firms and universities. An exercise psychologist typically needs to understand nutrition and movement systems. A genetic counselor is a trained specialist on determining risk factors of hereditary diseases and disorders. One provides genetic testing and gives education and advising to patients and their families. GNA’s work with elderly patients in a variety of settings including hospitals, long term care facilities, and patients homes. They have duties much like a CNA with special emphasis on communication skills and helping care for immobilized patients or those with limited mobility. An HHA provides health care tasks, personal hygiene services, housekeeping, and other related services necessary to consumer health. He or she also observes, records, and reports all changes to the supervisor. An HHA may work under registered nurse’s supervision. An LPN works under the guidance of a registered nurse to provide routine care. They typically work in retirement homes and extended care facilities where the additional training requirements and skills of an RN are not utilized. 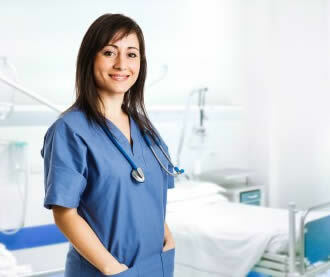 Many LPN’s go on through available training opportunities to become registered nurses themselves. A massage therapist works with the muscles and soft tissues of a person in order to produce relaxation, improved health, and other benefits. Out of 80 types of massage, a therapist must be specialized in more than one of these. A medical technician performs basic laboratory methods, such as testing specimens and recording results. A medical technician works with diagnostic and analytic equipment, including analyzers and microscopes. Aside from that, he or she may collect samples directly from patients. A medical assistant performs routine administrative and clinical tasks of keeping physicians’ and other health practitioners’ offices running smoothly , such as compiling, processing , and maintaining medical records of hospital and clinic patients in a manner consistent with medical, administrative, ethical, legal, and regulatory requirements of the health care system. You can read more about the tasks associated with a Medical Administrative Assistant on this page. A medical transcriptionist type up written reports of voice recordings form doctor-patient interviews. These reports become part of the patient interviewee’s medical records. MRI scanners are used to take pictures of specified parts of a patient’s body and are used by doctors as a basis for diagnosing health issues, MRI scans are performed by an MRI technician. A nuclear medicine technologist is a highly specialized medical professional who prepares and administers radiopharmaceuticals and other medicaitons to patients. A nuclear medicine technologist may also operate computed tomography (CT) and magnetic resonance imaging (MRI) scanners that are used together with nuclear medicine procedures. Collectively, nurse midwives, nurse anesthetists and nurse practitioners are called as the Advance Practiced Registered Nurses (APRN). Advanced and specialized skills, knowledge and experience are utilized by APRNs. The job description of APRNs varies from primary to specialized care. OSH Specialists are mainly concerned with the structure of a workplace in relation to the health and safety of the employees. The goal is to prevent injury and disease as a result of different factors such as ergonomic causes. Routine inspections are also conducted to maintain a safe working environment. Patients who are unable to do daily activities or work because of any unhealthy condition (e.g. physical, mental or social disorder) may likely require the help of an occupational therapist. They undergo individual rehabilitation program to learn on how to cope up with everyday tasks. The work entails dispensing or providing the appropriate and prescribed optical aids such as eye glasses. They follow the optometrist or ophthalmologist’s orders. It is their responsibility to give health teachings on the proper usage and care of the lenses and spectacles. Optometrists check the eye for any disorders or condition. Eye examinations are done to evaluate the patient’s ability to recognize color, focus and coordinate their eyes. They also prescribe corrective lenses and glasses, medications for eye treatment and referral. Patients who are candidates for an artificial limb or orthopedic brace are assessed, designed with and fitted with the device by a prosthetist and orthotist. This group of specialists is also referred as the O&P professionals. They provide care to hospital, hospice or home based patients who have disabilities through assisting in accomplishing everyday tasks. Responsibilities may include preparation of meals and housekeeping services like making beds and washing clothes. All medications issued from a drug store or pharmacy are dispensed with the approval of a pharmacist. They are best knowledgeable about the action, use and side effects of drugs. They help the physician on deciding which will be the best drug treatment option for a patient. With the order of a physician, a pharmacy technician is in charge of preparing medication solutions. They count, compute for the dosage, mix, label and record the medications. Phlebotomists are trained individuals who draw blood from a patient for a variety of reasons: diagnosis, studies, donation or transfusion. They usually work in hospitals, blood banks, clinics and diagnostic centers. The physical therapist heads a group of medical professionals in facilitating physical therapy programmes and they are called the Physical Therapist Assistants or Aides (PTA). The main goal of the physical therapist is to assist a sick or injured person recover from the condition, return the full range of motion and manage the pain. They rehabilitate patients who have lost or diminished motor function abilities through the use of structured programs. Guided by the order of a physician, they can perform diagnostic, therapeutic and preventive procedures to patients. They can carry out different physician responsibilities such as handle minor injuries, interpret x-ray results, and apply cast to broken bones. Physicians and surgeons assess, diagnose and treat patients with illness conditions or injuries. They conduct thorough physical assessment to determine the cause of illness, interpret laboratory results and prescribe treatment options. Surgeons perform operations to correct health conditions such as removal of tumors and fixing broken bones. If there is any problem that has to do with the lower extremities (lower leg, ankle and feet), the podiatrist is the one consulted for diagnosis, treatment and preventive advice. A podiatrist is highly specialized to treat injuries and disorders found in the lower legs and foot like those concerning other health issues (diabetic foot). Patients suffering from mental and psychological conditions are handled by psychiatric technicians. They provide care through assisting in personal hygiene routine and ensuring cleanliness. Radiation therapists facilitate in the radiation therapy of patients with cancer. They give the proper dose of radiation to manage or minimize cancer growth. Individuals with illnesses and disabilities are also treated using recreational activities. Such recreational-based programs are spearheaded by recreational therapists. A registered nurse provides holistic nursing care to a patient through a process: assessment, nursing diagnosis, planning, implementation and evaluation. They coordinate with other healthcare professionals in managing the health status of the patient. A Respiratory Therapist (RT) aids in the care of patients with respiratory conditions such as breathing issues. An RT also plays an active role in emergency scenarios of drowning and heart attacks. A restorative certified nursing assistant or (RNA) is a specialized type of CNA with additional training in special knowledge and skills. Some of the common responsiplilities include therapeutic rehabilitation. Skills such as draping the resident for treatment and procedures, transfer techniques, abulation exercises and range of motion activities are frequently part of the job. Persons with speech-related disorders are handled by speech pathologists or speech therapists. They are responsible for the assessment, diagnosis and management of speech-related problems. Their primarily role is to assist surgeons during operations. Starting from the preparation of the patient down to the assembly of surgical supplies, surgical technicians get ready for the pending surgical procedure. Vets take care of different kinds of animals and are in charge of the medical management of animal disorders. Prevention of occurrence and spread of animal diseases is also a concern of vets.